Bring style and versatility to the Tampa Bay roads with the 2018 Toyota Sienna’s sleek design and innovative features. You’ll ride with comfort, convenience and technology that’s kid friendly and parent approved! Test drive the 2018 Toyota Sienna at Toyota of Tampa Bay today! The new Toyota Sienna in Tampa has something for everyone, offering available leather seating, a driver-centric cockpit, steering wheel mounted controls, flexible seating, ample storage space and more. With a cabin full of cutting-edge technology, you and your family can always stay connect while you drive through the Tampa area. 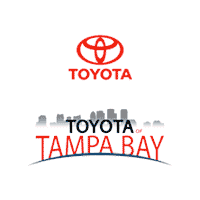 Fill out the form to schedule your 2018 Toyota Sienna test drive, then get to Toyota of Tampa Bay today! We serve drivers in Tampa, Brandon and Wesley Chapel, FL. Be sure to ask about our lower prices, Toyota deals and our exclusive benefits package!